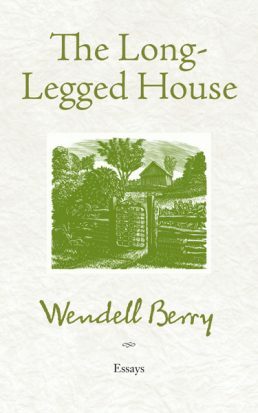 First published in 1969 and out of print for more than twenty-five years, The Long-Legged House was Wendell Berry’s first collection of essays, the inaugural work introducing many of the central issues that have occupied him over the course of his career. Three essays at the heart of this volume—“The Rise,” “The Long-Legged House,” and “A Native Hill”—are essays of homecoming and memoir, as the writer finds his home place, his native ground, his place on earth. As he later wrote, “What I stand for is what I stand on,” and here we see him beginning the acts of rediscovery and resettling.